From Nashville, Tennessee to Santa Fe, New Mexico to Los Osos, California, Airbnb has been a favorite tool for finding accommodations on the road. If you aren’t familiar with it, Airbnb is an increasingly popular online platform through which people rent their spare room or extra apartment to travelers passing through town. The company is revolutionizing the bed & breakfast business—an in-house study found that Airbnb contributed $56 million to the San Francisco economy in 2011 and a whopping $240 million to Paris’s economy in 2012. 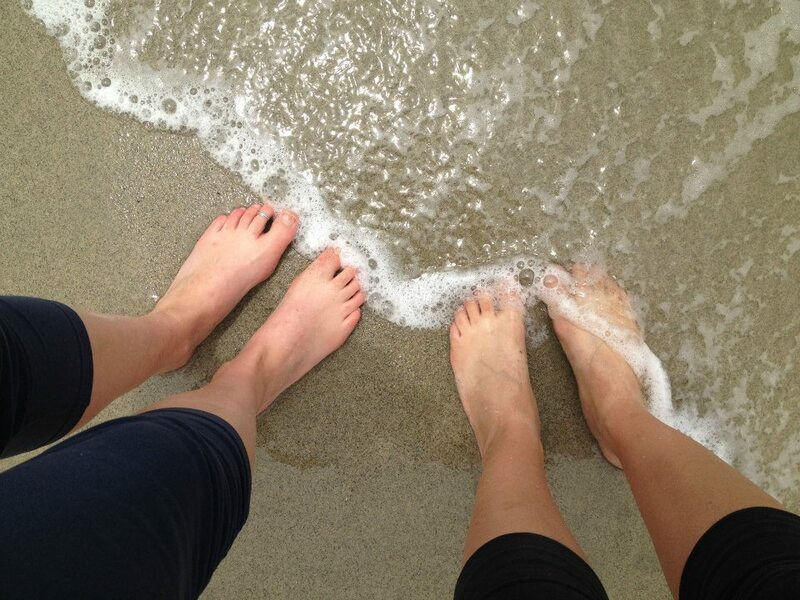 Dipping our toes in the Pacific Ocean for the first time, near Los Osos, CA. Our adobe Airbnb abode in Santa Fe, New Mexico is made from clay/mud and heats/cools itself. What’s so great about staying in a stranger’s guest room, you ask? For one, we’ve been able to get local tips about the place we’re visiting. Our host in Nashville pointed us in the direction of her favorite honky tonk bars. We also get to experience a real neighborhood instead of sleeping off the highway in a generic hotel with a bland continental breakfast. And Airbnb is usually cheaper than the budget hotels. 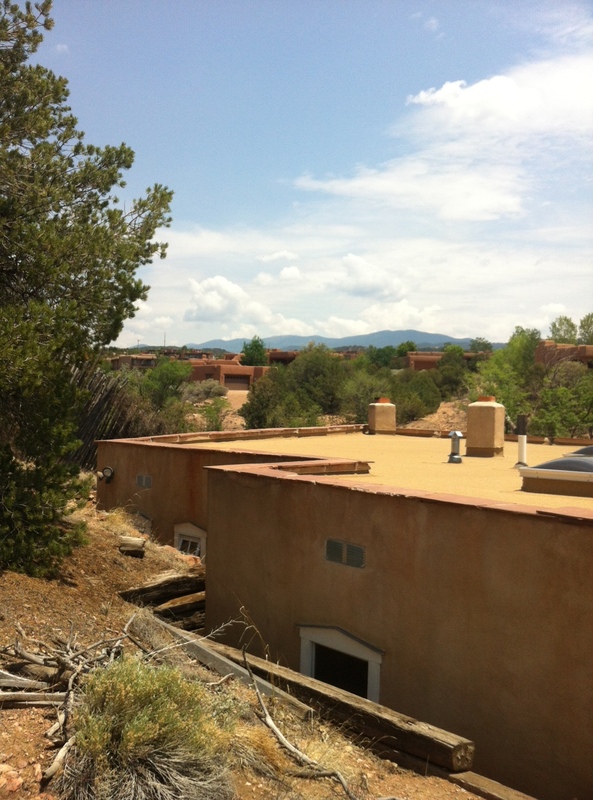 In Santa Fe, we stayed at a magnificent adobe house in the heart of the historic district for a steal. And what makes us trust these hosts we’ve never met? 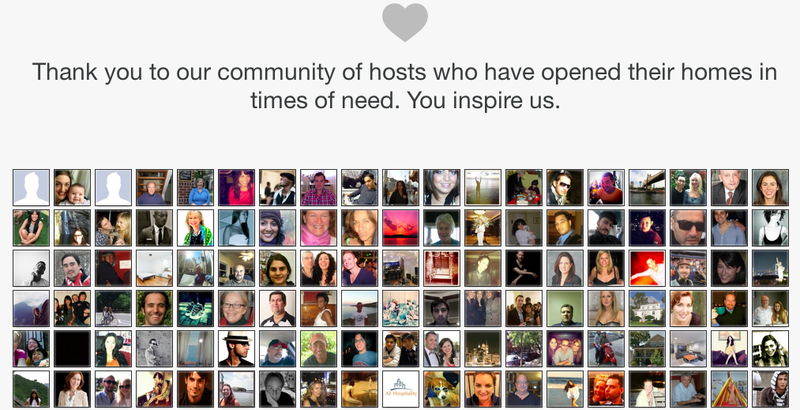 That’s where Airbnb adds a lot of value—the platform encourages hosts and guests to review each other. Seeing a slew of positive reviews from several former guests helps users feel confident they aren’t jumping into some horror movie set-up. 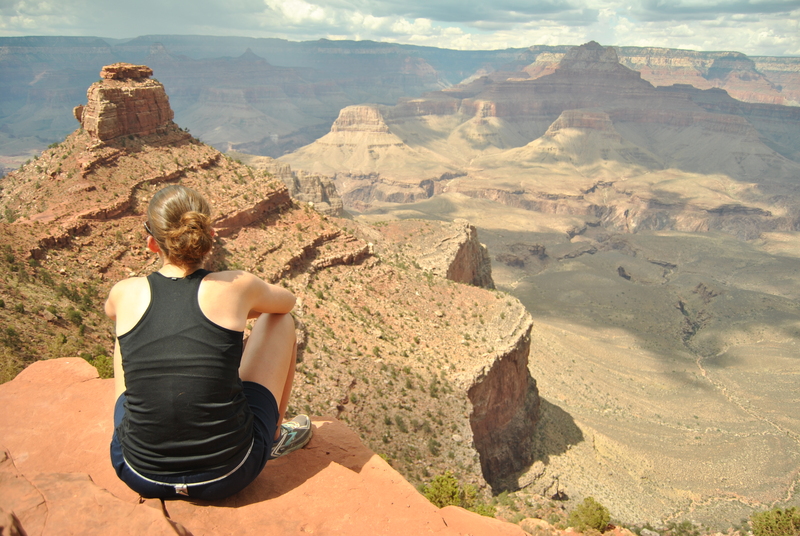 After a spectacular visit to the Grand Canyon, we stayed in a lovely Airbnb home in Flagstaff, AZ. 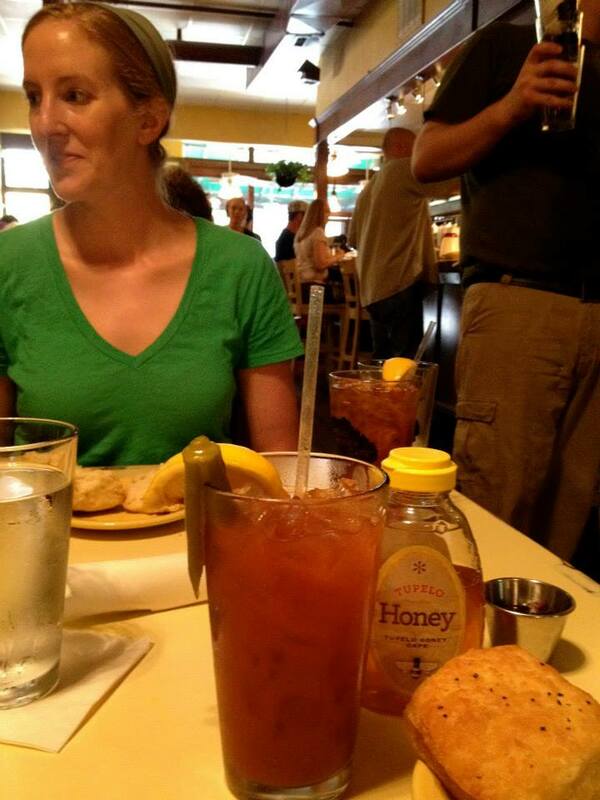 Brunch in Asheville, NC (complete with a bacon-infused bloody mary). It probably sounds like we’re secretly being paid by Airbnb to write this post—but there’s actually an adaptation story behind it. Fresh off an Airbnb stay in Asheville, North Carolina, we came across an innovative tool that the company put together to help cities find shelter for displaced people in emergencies. It all started with Hurricane Sandy last October, when 776,000 people were displaced by the storm. An Airbnb hostess named Shell owns a loft apartment in New York City that she occasionally rents out to guests. When the hurricane hit, she posted her apartment on Airbnb for free, inviting those whose homes were inundated (or worse, destroyed) to rest safely and dryly at her place. Even more remarkable is that Airbnb caught on to Shell’s idea. The company decided to rewrite their web code to allow hosts to post their homes for free in a disaster. It works like this. Airbnb waives the fees it normally charges when people rent their space (the fees are around 3 percent for hosts and between 6 and 12 percent for guests). When a disaster occurs, hosts get an email letting them know that the Airbnb Disaster Response program is kicking in. And hopefully, a swarm of generous Airbnb home-sharers invite those less fortunate under their roofs at no cost. 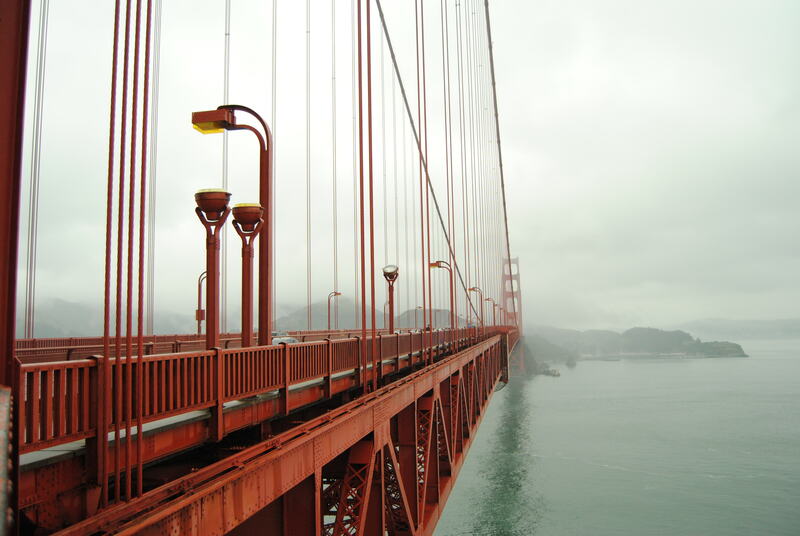 The iconic Golden Gate bridge in San Francisco. The Disaster Response model got the attention of the City of San Francisco’s Department of Emergency Management. In a new partnership, the City is working with a suite of ‘sharing economy’ companies like Airbnb to identify areas where they can help with emergency management. The ‘sharing economy’ promotes economic activity through sharing—the basic idea being that a lot of people own things they don’t use all the time—a lawnmower, for instance—and that many others are willing to pay to use those things part of the time, if, (and this is a big if), there exists a platform to make sharing easy and effective. See Thomas Friedman’s recent New York Times piece on the basics. The famous ‘painted ladies’ provide shelter in San Francisco. A group called BayShare which represents companies like City Car Share, TaskRabbit, and Lyft—all based on sharing economy models—is heading up the partnership with the City. The partnership could involve a collaboration through the new citywide emergency social network: www.sf72.org. San Francisco mayor, Edwin Lee, was pretty excited about the whole thing. “The growing ‘sharing economy’ is leveraging technology and innovation to help our City become more prepared and resilient against disaster,” he said. “The sharing economy was born here, and partnering with BayShare, we are committed to ensuring that San Francisco supports this emerging sector’s success and nurturing even greater civic involvement.” A model for climate resilience In San Francisco, the impetus is mostly about the dreaded big earthquake (and as far as we know climate change has an uncertain connection, if any, to earthquakes), but this type of public-private partnership could be formed in many cities. Airbnb implements the Disaster Response function all over the world, including for hurricanes that are increasing in severity and frequency with climate change. Road tripper Allie Goldstein takes advantage of wifi in a San Francisco cafe. She’s probably tweeting. One question we all probably have is, how does this work when the power goes out? Airbnb and other social networking tools like Twitter have the potential to be helpful in disasters, but they require a 3G network or wireless internet to work. And we know many Superstorm Sandy victims didn’t have that mid-crisis. Airbnb recognizes this too—and they (and many others) are working on it, but it may take a little while. 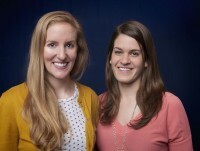 “This is going to be an iterative process. We’re by no means experts in disaster relief. 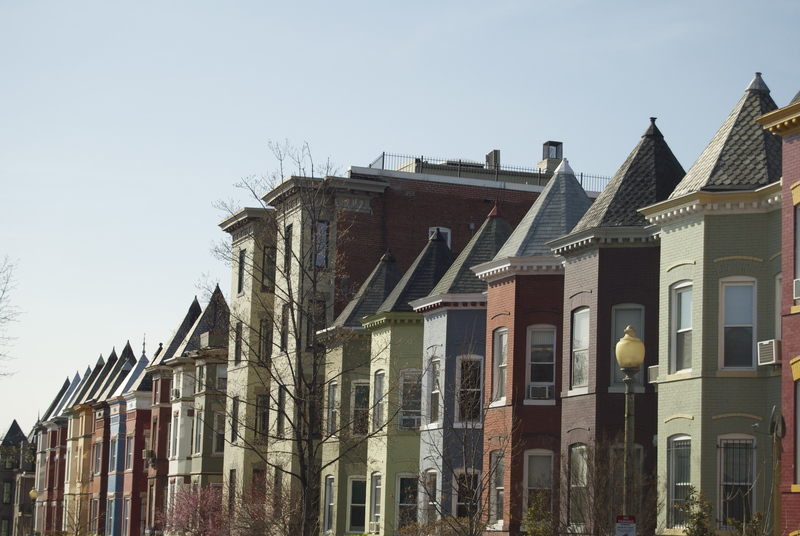 That’s why we’ve been talking with the experts,” Molly Turner, Airbnb’s director of public policy, told a reporter. 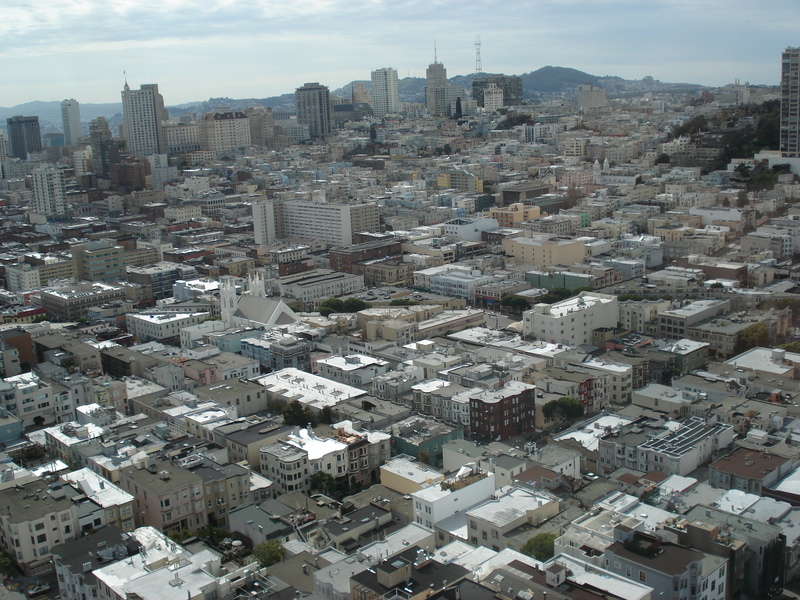 The City of San Francisco is building its resilience through innovative new partnerships. Very interesting connection between Airbnb (and the sharing economy generally) and disaster response/resilience. I suspect there will be many other creative examples that evolve….